This four-year research project will explain Hamas's transition from militant movement to political party, and through this provide a fuller understanding of Hamas’s current and past political behaviour. The project also aims to identify Hamas's most likely future political trajectories. This is accomplished by studying Hamas within analytical frameworks provided by established party theories, focusing on their organizational makeup and institutional development, in addition to aims, goals, and ideological rigidity. The project is based at the CMI, and carried out in collaboration with the Palestinian Institute for the Study of Democracy (Muwatin). The project is led by Dr Are Knudsen (CMI) and include Dr Basem Ezbidi (Muwatin) together with PhD-candidate Frode Løvlie. 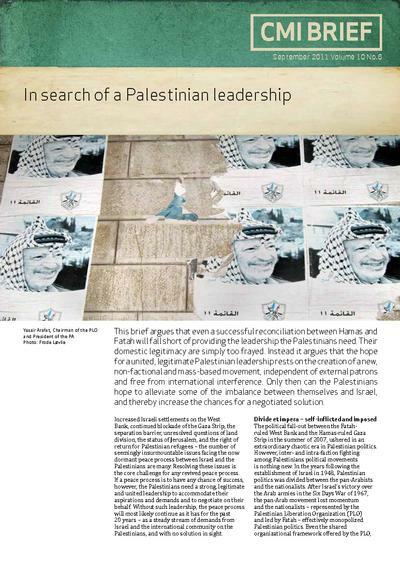 A secular-religious cleavage in Palestinian politics? Comparing the nationalisms of Fatah and Hamas. Measuring party institutionalization in Palestine? Hamas i Palestina: Hvorfor stemmer folk på islamistene?